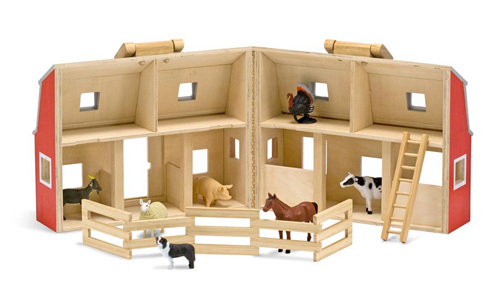 I bought this wooden folding barn from Hedgehog at The ShopUp this past December and gave it to my kids for Christmas. I figured it would be a cute way for them to play with all their Schleich animals, which are still one of their most favourite toys! 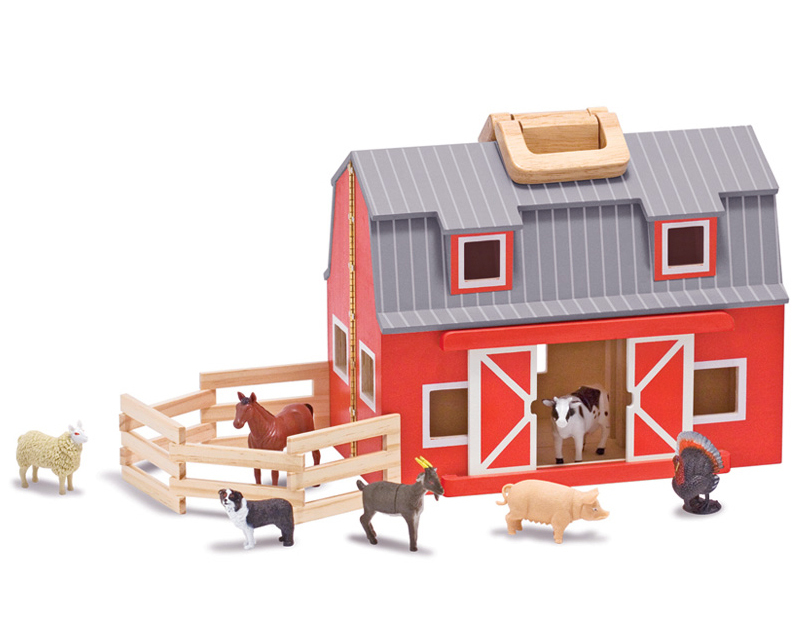 It’s such a cute little barn, and I don’t even mind it being left out in my living room. It’s that cute! oops typo- gray and blue , not green and blue!